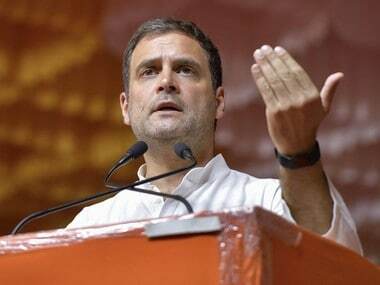 Congress chief Rahul Gandhi, who filed his nomination papers from Wayanad in Kerala amid much fanfare on 4 April, will file his nomination from Amethi in Uttar Pradesh on Wednesday. 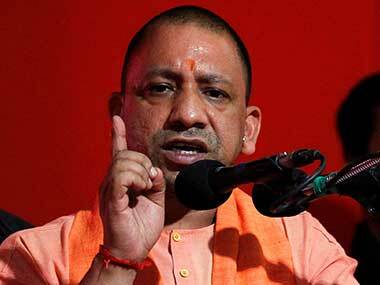 He will begin with a roadshow around 10 am from Amethi's Munshiganj and is expected to reach the Collectorate at noon. 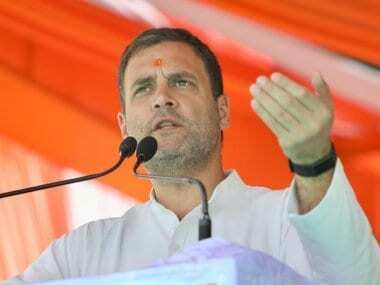 His sister and Congress general secretary Priyanka Gandhi is expected to accompany him, as is his mother and UPA chairperson Sonia Gandhi. 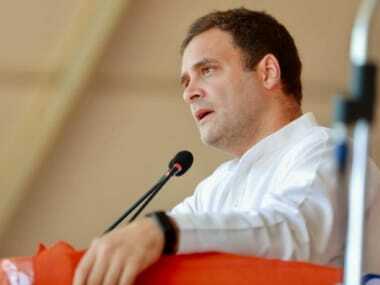 Rahul is also expected to speak at rallies in Bihar's Katihar and West Bengal's Raiganj later on Wednesday. Meanwhile, Prime Minister Narendra Modi is scheduled to address rallies in Junagarh and Songarh in Gujarat, before heading to Panjim in Goa. 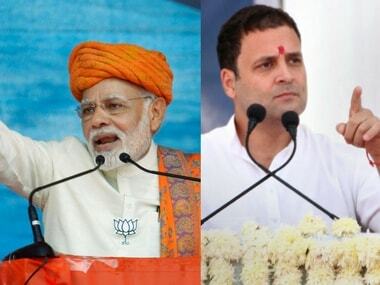 As many as 20 states and constituencies will go to polls on Thursday, 11 April, in the first phase of the 2019 Lok Sabha election. On the last day of campaigning for the first phase of the Lok Sabha election in Chhattisgarh, BJP MLA Bhima Mandavi and four security personnel were killed in an attack on their convoy by Maoists in Dantewada district. Their funerals are expected on Wednesday. The convoy was attacked between Kuakonta and Shyamgiri when an improvised explosive device (IED) blew up a vehicle in their convoy and Maoists opened fire. The killed security personnel have been identified as driver Danteshwar Maurya and District Force jawans Chhagan Kuldeep, Somdu Kawasi and Ramlal Oyami. After the attack, CRPF and ambulances were rushed to the spot. Prime Minister Narendra Modi condemned the attack, calling Mandavi courageous and diligent, saying his demise was "deeply anguishing". BJP chief Amit Shah, Law Minister Ravi Shankar Prasad, former Chhattisgarh chief minister Raman Singh, Congress chief Rahul Gandhi and Nagaland chief minister Neiphiu Rio also condemned the attack. The Supreme Court will, on Wednesday, pronounce its verdict on the preliminary objections raised by the Centre that the documents on which it was claiming "privilege" cannot be relied upon to re-examine the verdict in the Rafale fighter jet deal with France. A bench headed by Chief Justice Ranjan Gogoi will pronounce the verdict. On 14 March, the apex court had reserved its verdict on the preliminary objections raised by the Centre on the admissibility of "privileged documents" annexed by former Union ministers Yashwant Sinha and Arun Shourie and also activist lawyer Prashant Bhushan in their review petition against the top court's 14 December judgment. The court had then dismissed all petitions against the Rafale jet deal. "Only after we decide on the preliminary objection raised by the Centre will we go into other aspect of the review petitions," the bench said, adding it depended on whether the bench overruled the preliminary objection. After going soft on the management for the past few months on pending salaries, Jet Airways domestic pilots body, the National Aviators Guild, on Tuesday threatened to take legal recourse if their dues are not cleared by early next week. The Jet Airways board is likely to meet in Mumbai on Wednesday and discuss the latest development, said an airline source. High-flying Mumbai Indians will look to make the most of the home conditions as they take on KXIP in the Indian Premier League in Mumbai. MI are on a two-match winning streak, while KXIP defeated Sunrisers Hyderabad in their previous match. So far, Punjab have won four of their six matches, while Mumbai have clinched three of five. KXIP defeated MI by eight wickets in their previous encounter. Oppo's next phone — Oppo Reno — will be unveiled for China today, while global audiences will get a taste on 24 April. The phone is going to house the Snapdragon 855 chipset and will likely come in 6 GB and 8 GB RAM variants. There is also the possibility that the phone will be 5G-powered. The Oppo Reno will also sport a a bezel-less display with a unique pop-out camera resembling a shark fin. Three days after Farhan Akhtar released his latest single from his debut album Echoes, the actor announced the release date of the album. The singer-actor shared the news on Twitter. Echoes will have a total of 11 songs, due to be released on Friday, 12 April.